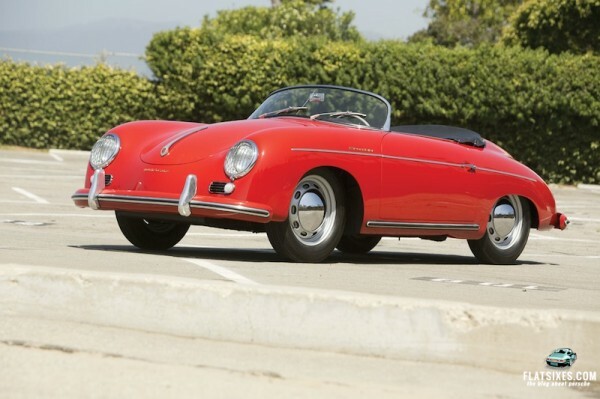 Vintage car auctions are something of a point of pride for Porsche enthusiasts, but for others, they can be a point of contention. Usually, the feelings regarding the upward swing of Porsche pricing in recent years is dependent upon whether or not you own one of the rapidly appreciating models. That said, they always seem to hold the awe of enthusiasts all over the world. We are all genuinely interested in the outcome of these bidding wars, and we're sure to be talking about it over the internet watercoolers for weeks after the hammer drops. RM auctions has always had a great offering of Porsche models at each of their events, and they certainly know how to present them in a way most conducive for high bids and fast sales. This year's Monterey auction is no different, holding no less than 11 rare, pristine, and desirable models from the brand, including retired racers, pre-production prototypes, and the some of the most exclusive models Porsche has ever offered. This August 16 and 17, keep an eye on the Portola Hotel and Spa and the Monterey Convention Center to see how they fare. First on the list, and most exciting in my eyes, is the 1986 build Ex-Dyson Racing 962, chassis number 122. Delivered new to Dyson, this car was a winner from the outset. In the iconic red, yellow, and white, the Dyson machine won two IMSA GTP events here in the states in 1986 (Sears Point 300K and Daytona 3 hour), as well as three more in 1987 (Road Atlanta 500K, Watkins Glen 500K, and Road America 500K). A recent complete restoration gives the racer an unequaled edge over many other 962, with pristine condition and a winning history only helping to promote the car. RM has not committed to a pre-auction value, but I would be surprised if this lot did not hit the 7 figure mark. Another veteran of the IMSA circuit, this 935, code-name “El Salvador”, is another lot to keep an eye on. Originally a 934, this car is rumored to have been delivered to the George Loos racing team in Europe (GELO). Chassis 930-670-0171 was later converted to 935 specification, currently running a twin turbo 3.2 liter engine producing near 760 horsepower. A veteran of more than 40 international GT events, this car competed at Le Mans twice in 1976 and 1977. A recent restoration has returned the car to its 1981 Daytona 24 configuration. Estimates predict the bidding to end somewhere over the 750,000 dollar mark. "A 1985 959? Production deliveries didn't begin until the 1987 model year." No doubt this is what you are thinking to yourself, and you would be right, to some extent. As it turns out, Porsche produced 21 "vorserie" cars or "pre-series" for certain executives of the company. Still in original condition, having only covered 5,000 kilometers since 1985, this car is certainly a collector's dream. Owned for much of its life by the President of the Porsche Club of Spain, the car has recently been imported to the United States and is being offered with a valid U.S. title, and can be licensed in any of the 50 states for street use. This one should easily fetch the pre-auction half-million estimate. The Gmund Award for excellence in concours competition is not an award easily won. In order to receive one, the car in question must score at least 298 points of a possible 300 at the annual Porsche Parade. At the 2011 Porsche Parade in Savannah, Georgia, this car was bestowed with this honor. Scoring an astonishing 298.1 points, this 1963 356B T6 Coupe 1600. Finished in gorgeous Oslo Blue over red interior, the car was assembled completely of Genuine Porsche components, with no aftermarket parts whatsoever. With such a high score, and such a gorgeous presentation, surely this coupe must be one of the best in the world. Estimates place the car as valued between one hundred thirty-five and one hundred eighty-five thousand dollars. Other notable auction inclusions are assembled in Monterey, such as an ever-collectible 2.7 Carrera RS Touring, a number of open top 356 variants, and a small handful of gorgeous long-hood 911 S models. Get more info on each Porsche at the RM site or see the full catalogue here. Is The Bad Boys Porsche Really For Sale? Why Didn’t This Porsche 908/3 Sell at Amelia Island?